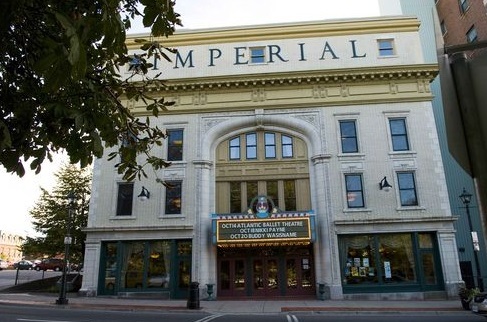 Imperial Theatre in Uptown Saint John, is a historic building that was designed by an architect from Philadelphia and construction began in 1912. The doors to Imperial Theatre were officially opened in September, 1913 and was home to the Vaudeville shows, eventually becoming a cinema just like many of the places that once hosted Vaudeville entertainment. By 1957, a church group bought the building for their meetings until the year of 1982. A deal was then made to purchase it with $1.00 down and a $1 million dollar option to buy it within a year’s time. Residents of Saint John, contributed the majority of these funds and over $1 million dollars was raised. We are proud to call Imperial Theatre our own!